Buddhist monks during the Makha Bucha Day procession around the prayer hall at Wat Benchamabopit in Bangkok. Makha Bucha Day is one of the most important religious holidays in the Theravada Buddhist world. It celebrates the day more than 1,200 disciples came to hear the Buddha preach in a grove in India (the birthplace of Buddhism). The disciples were all ordained personally by the Buddha and were "arhantas" or enlightened ones. Monks at Wat Benchamabopit in the Dusit district of Bangkok. The holiday is usually held on the full moon of the third lunar month. 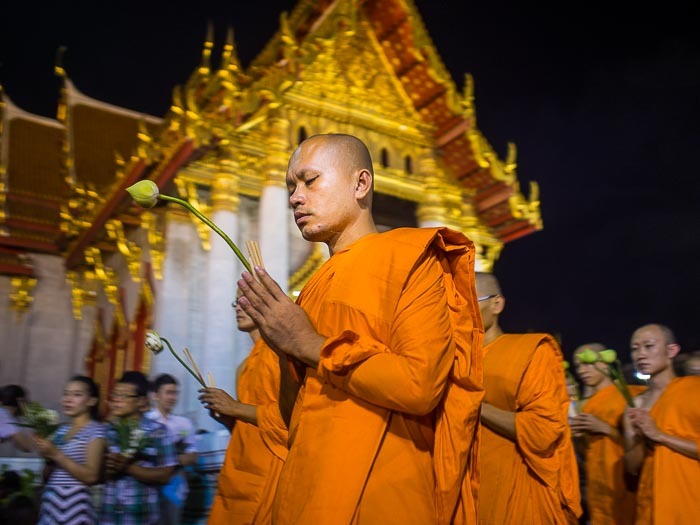 Thailand, Laos, Cambodia and Myanmar each have their own religious governing bodies and Makha Bucha Day is not always celebrated on the same day in every country. 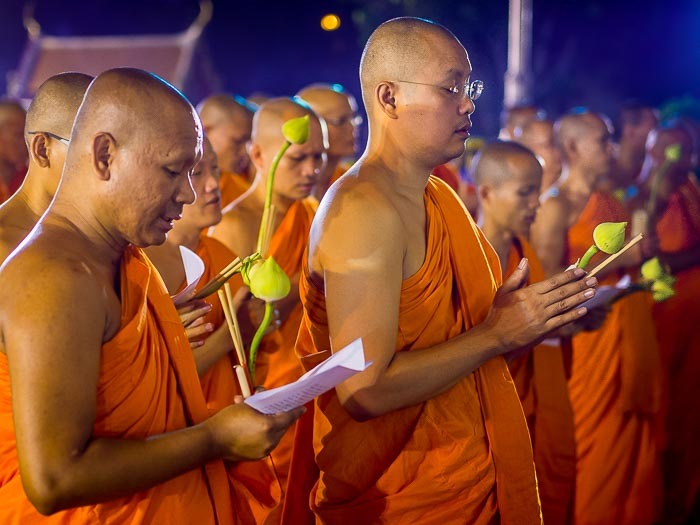 Cambodia's celebration of Makha Bucha Day, called Meak Bochea Day, was celebrated in February while it was celebrated in March in Thailand, Laos and Myanmar. It's not a raucous holiday, in Thailand bars are closed and restaurants aren't allowed to serve alcohol. People go to their neighborhood temple and make merit. At the end of the evening, they participate in a candle light procession around the temple's prayer hall. A woman prays at Wat Benchamabopit. 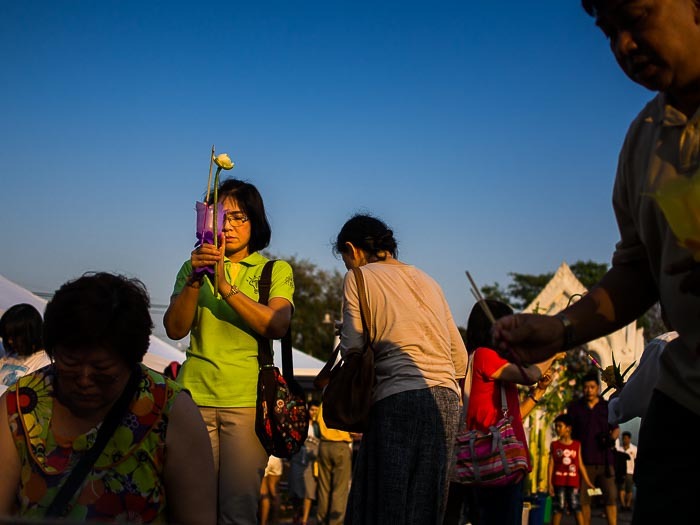 There are more photos from Makha Bucha Day in my archive or available from ZUMA Press.